How to Use the mmd "Library"
mmd A Miniature Markdown "Library"
Embedded HTML markup and entities are explicitly not supported or allowed; the reason for this is to better support different kinds of output from the markdown “source”, including XHTML, man, and xml2rfc. Link titles are silently ignored. Thematic breaks using a mix of whitespace and the separator character are not supported (“* * * *”, “– – – –”, etc. ); these could conceivably be added but did not seem particularly important. Metadata as used by Jekyll and other web markdown solutions. ”@” links which resolve to headings within the file. Tables as used by the Github Flavored Markdown Spec. MMD_TYPE_DOCUMENT - The root node of a document. MMD_TYPE_METADATA - The document metadata; child nodes are only of type MMD_TYPE_METADATA_TEXT. MMD_TYPE_METADATA_TEXT - Document metadata text items; text is of the form “keyword: value”. MMD_TYPE_BLOCK_QUOTE - A collection of quoted blocks. MMD_TYPE_ORDERED_LIST - An ordered (numbered) list; child nodes are only of type MMD_TYPE_LIST_ITEM. MMD_TYPE_UNORDERED_LIST - An unordered (bulleted) list; child nodes are only of type MMD_TYPE_LIST_ITEM. MMD_TYPE_LIST_ITEM - A list item; child nodes can be text or other blocks. MMD_TYPE_TABLE_HEADER - The table header. MMD_TYPE_TABLE_BODY - The table body. MMD_TYPE_TABLE_ROW - A table row. MMD_TYPE_HEADING_1 - A level 1 heading; child nodes are text or images. MMD_TYPE_HEADING_2 - A level 2 heading; child nodes are text or images. MMD_TYPE_HEADING_3 - A level 3 heading; child nodes are text or images. MMD_TYPE_HEADING_4 - A level 4 heading; child nodes are text or images. MMD_TYPE_HEADING_5 - A level 5 heading; child nodes are text or images. MMD_TYPE_HEADING_6 - A level 6 heading; child nodes are text or images. MMD_TYPE_PARAGRAPH - A paragraph; child nodes are text or images. MMD_TYPE_CODE_BLOCK - A block of preformatted, monospaced text; child nodes are only of type MMD_TYPE_CODE_TEXT. MMD_TYPE_THEMATIC_BREAK - A horizontal rule or page break. MMD_TYPE_TABLE_HEADER_CELL - A table header cell. MMD_TYPE_TABLE_BODY_CELL_LEFT - A left-aligned table cell. MMD_TYPE_TABLE_BODY_CELL_CENTER - A centered table cell. MMD_TYPE_TABLE_BODY_CELL_RIGHT - A right-aligned table cell. MMD_TYPE_NORMAL_TEXT - A text fragment with no special formatting. MMD_TYPE_EMPHASIZED_TEXT - A text fragment with emphasized formatting, typically italics. MMD_TYPE_STRONG_TEXT - A text fragment with strong formatting, typically boldface. MMD_TYPE_STRUCK_TEXT - A text fragment that is presented with a line through it. MMD_TYPE_LINKED_TEXT - A text fragment that links to a heading within the document or an external resource. MMD_TYPE_CODE_TEXT - A text fragment that contains preformatted, monospaced text. MMD_TYPE_IMAGE - An inline image. MMD_TYPE_HARD_BREAK - A hard line break. MMD_TYPE_SOFT_BREAK - A soft line/word break. Generally there are two categories of nodes: “block” nodes which contain other nodes and “leaf” nodes that contain text fragments, links, images, and breaks. The mmdIsBlock function provides a quick test whether a given node is a block or leaf node. The mmdGetText function retrieves the text fragment associated with the node. The mmdGetWhitespace function reports whether there was leading whitespace before the text fragment or image. And the mmdGetURL function retrieves the URL associated with a MMD_TYPE_LINKED_TEXT or MMD_TYPE_IMAGE node. MMD_TYPE_CODE_BLOCK - Child nodes are code text (MMD_TYPE_CODE_TEXT) that contain all whitespace and newlines that should be written directly. MMD_TYPE_THEMATIC_BREAK - There are no child nodes, so a horizontal rule tag (<hr>) is written. This function also generates anchors for each heading so that internal references (“@” links) work. MMD_TYPE_IMAGE - An <img> tag is written using the URL as the source and the text as the alternate value. MMD_TYPE_HARD_BREAK - A <br> tag is written. MMD_TYPE_SOFT_BREAK - A <wbr> tag is written. In addition, some simple text substitutions are performed for “(c)”, “(r)”, and “(tm)” to use the corresponding HTML entities for copyright, registered trademark, and trademark. The write_html function is responsible for writing text and URL values as HTML, substituting HTML entities for special characters like &, <, >, and ". The make_anchor function is responsible for converting a text string into a HTML anchor string. This particular implementation removes characters that are not letters, numbers, periods, or dashes. The mmd_t object represents a single node within a Markdown document. Each node has an associated type and may have text, link, siblings, children, and a parent. The mmd_type_t enumeration represents all of the Markdown node types. The mmdCopyAllText function copies all of the text under the specified node. It is typically used for extracting text for headings and other block nodes. The returned string pointer must be freed using the free function. NULL is returned if there is no text under the node. The mmdFree function frees the specified node and all of its children. 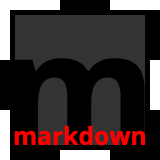 It is typically only used to free the entire Markdown document, starting at the root node. The mmdGetFirstChild function returns the first child of the specified node, if any. The mmdGetLastChild functions returns the last child of the specified node, if any. The mmdGetMetadata function returns the document metadata for the specified keyword. Standard keywords include “author”, “copyright”, and “title”. The mmdGetNextSibling function returns the next sibling of the specified node, if any. The mmdGetParent function returns the parent of the specified node, if any. The mmdGetPrevSibling function returns the previous sibling of the specified node, if any. The mmdGetText function returns any text that is associated with the specified node. The mmdGetType function returns the type of the specified node. The mmdGetURL function returns any URL that is associated with the specified node. The mmdGetWhitespace function returns 1 if whitespace preceded the specified node and 0 otherwise. The mmdIsBlock function returns 1 when the specified node is a Markdown block and 0 otherwise. The mmdLoad function loads a Markdown document from the specified file. The function understands the CommonMark syntax and Jekyll metadata. The return value is a pointer to the root document node on success or NULL on failure. Due to the nature of Markdown, the only failures are file open errors and out-of-memory conditions. The mmdLoadFile function loads a Markdown document from the specified FILE pointer. The function understands the CommonMark syntax and Jekyll metadata. The return value is a pointer to the root document node on success or NULL on failure. Due to the nature of Markdown, the only failures are out-of-memory conditions.